Local Eats: Sharing fantastic eating experiences here in Calgary, one delicious spot at a time! On the menu today is SAIT. 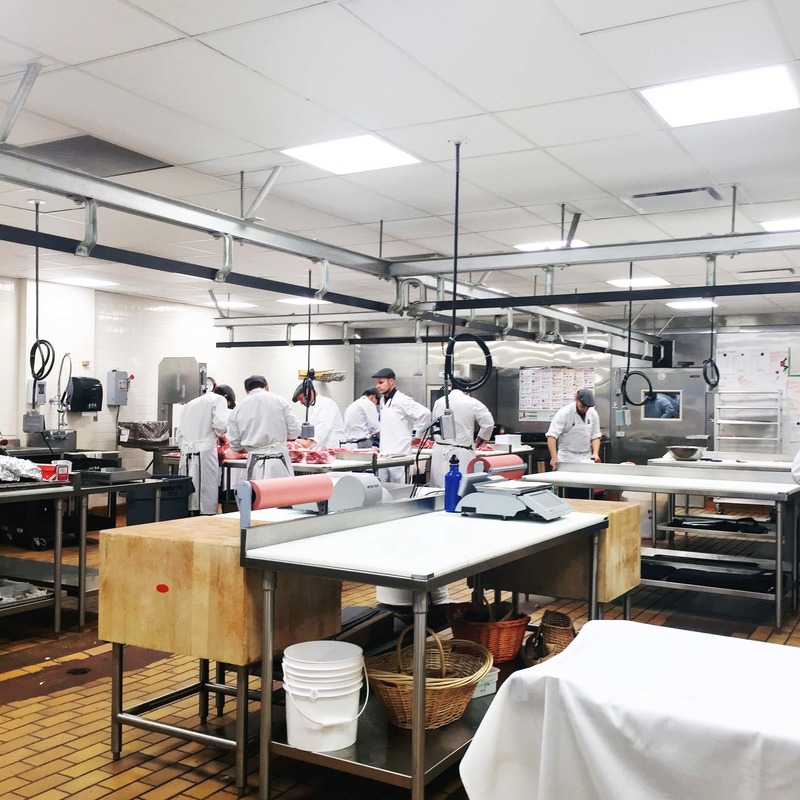 Recently I had the opportunity to take a culinary behind the scenes tour of SAIT here in Calgary. I love discovering delicious hidden gems, especially in my own city! And the markets and restaurants at SAIT, which are open to the public, are indeed hidden treasures in our city. Until recently I had no idea SAIT offered so many delicious options available to the public, including the 4 Nines Dining Centre, The Highwood restaurant, Market Place and The Butchery. Students hard at work creating masterpieces out of sugar! And what makes these delicious destinations so unique is that everything is created by the students who are attending the SAIT School of Hospitality and Tourism. 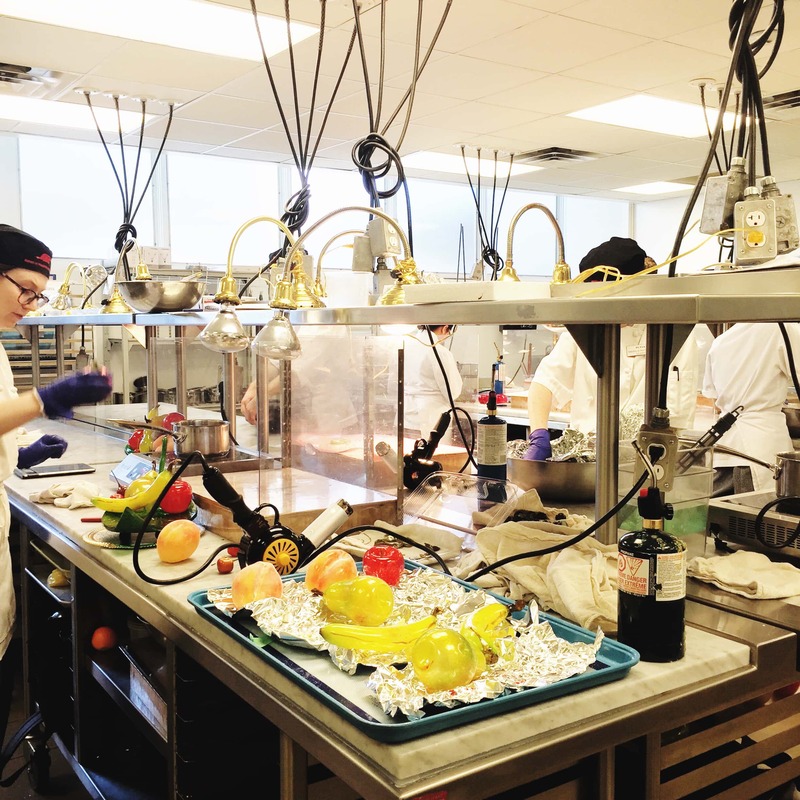 This SAIT program provides its students the opportunity to not only learn their craft, whether it be Baking and Pastry, Hospitality, or Butchery and Charcuterie, but students also get the chance to apply their skills to the real world in many different forms. And let me tell you, this is a definite win for the public! Students at SAIT fill the SAIT campus markets and local restaurant with their delicious creations. 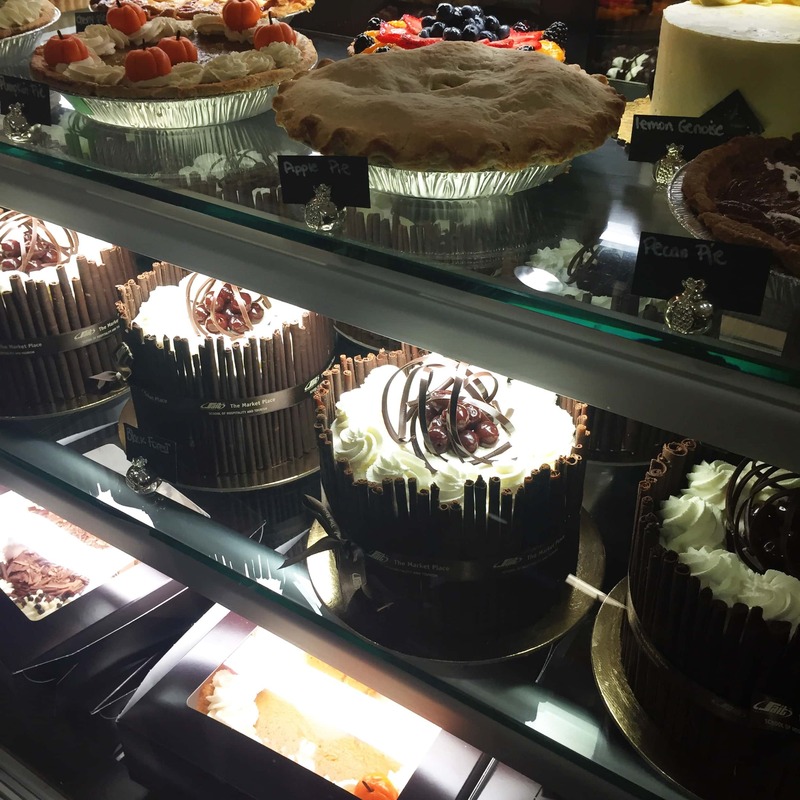 4 Delicious Spaces at SAIT to Satisfy Your Appetite! 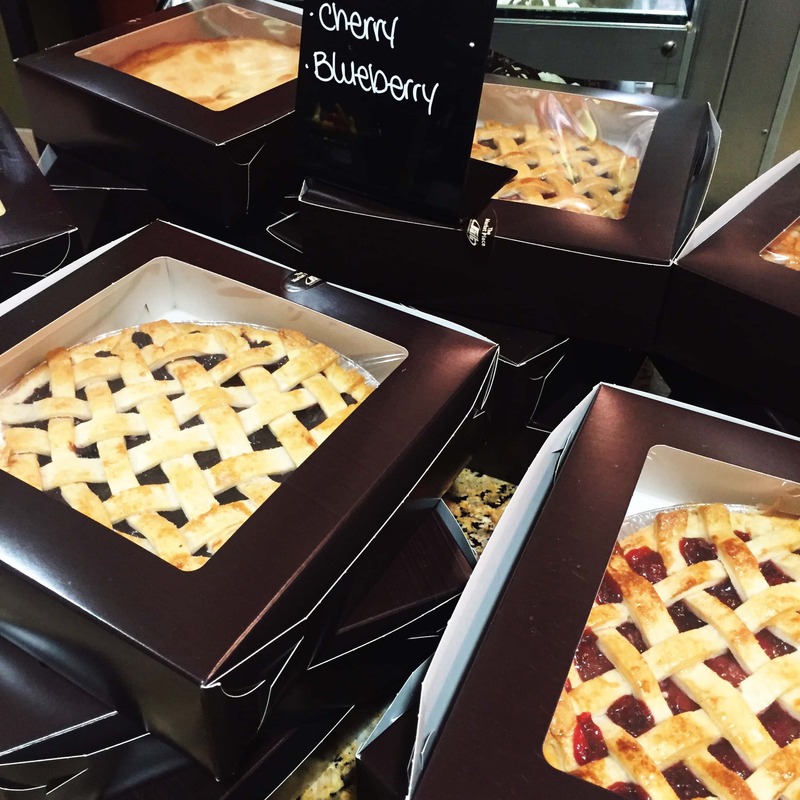 Market Place is a great spot to visit to purchase fresh baked artisan breads and desserts, house made sauces and jams, fresh meat, and convenient to-go meals. While I was there I bought fresh focaccia loaves, warm pretzel buns, in house made chocolate bars and 2 kinds of fresh sausage for dinner. Everything was fresh and very affordable. I can’t wait to go back! Delicious home made pies available for sale in the Market Place. Yes please. Cakes and pies, oh my! All very reasonably priced. 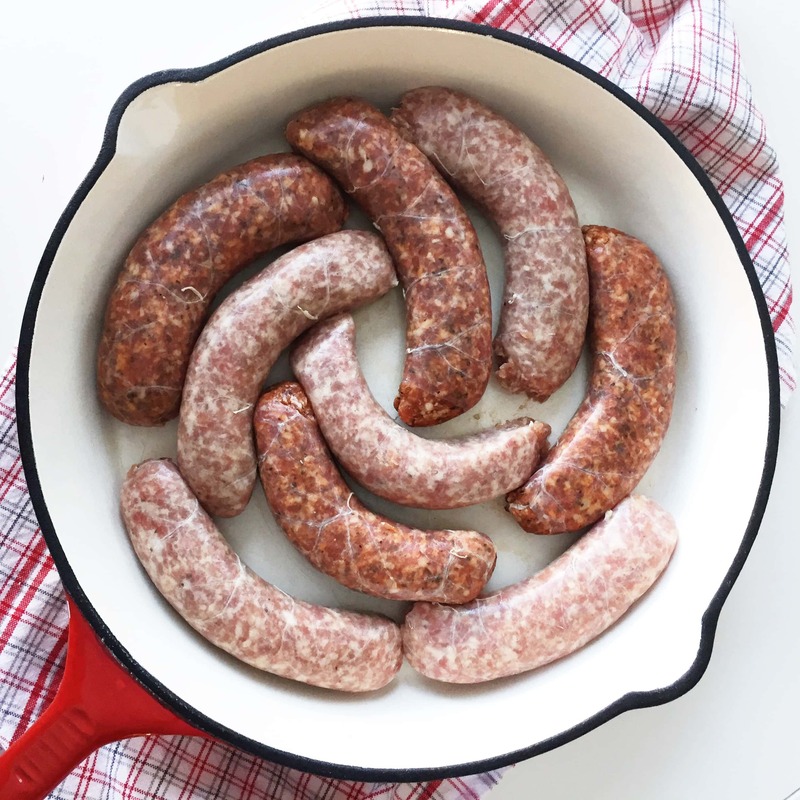 I brought home dinner and these home made sausages were delicious! The Butchery is run by the students in the Butchery and Charcuterie program at SAIT. 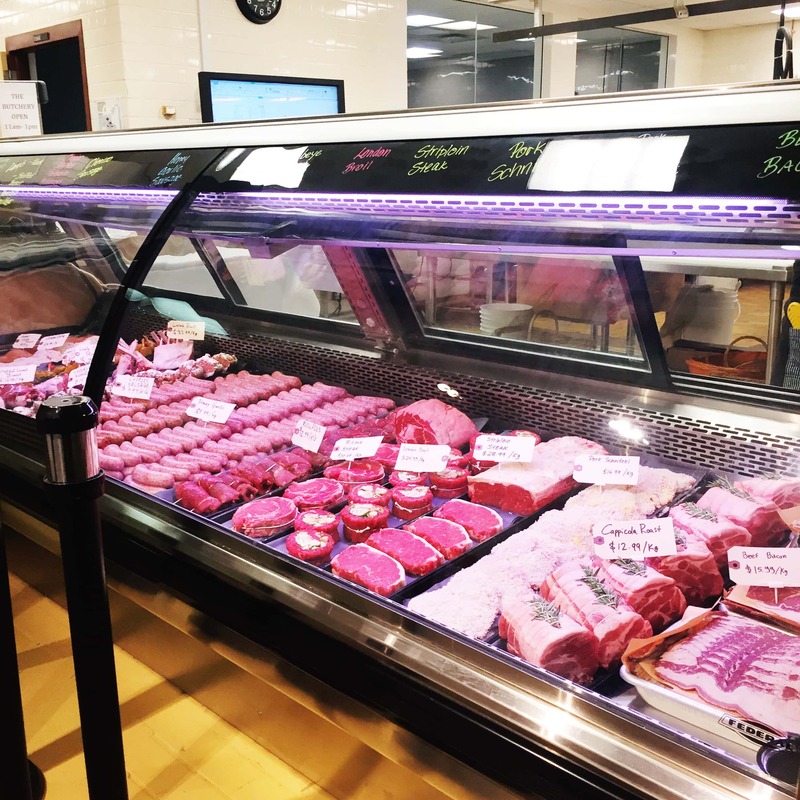 This retail market sells flavourful smoked and cured meats, gourmet stuffed and seasoned meats, and delicious butcher cuts of meat, all at reasonable prices. Visitor tip: The Butchery is only open on Thursdays, and it opens at 11AM…get there early so you don’t miss out! 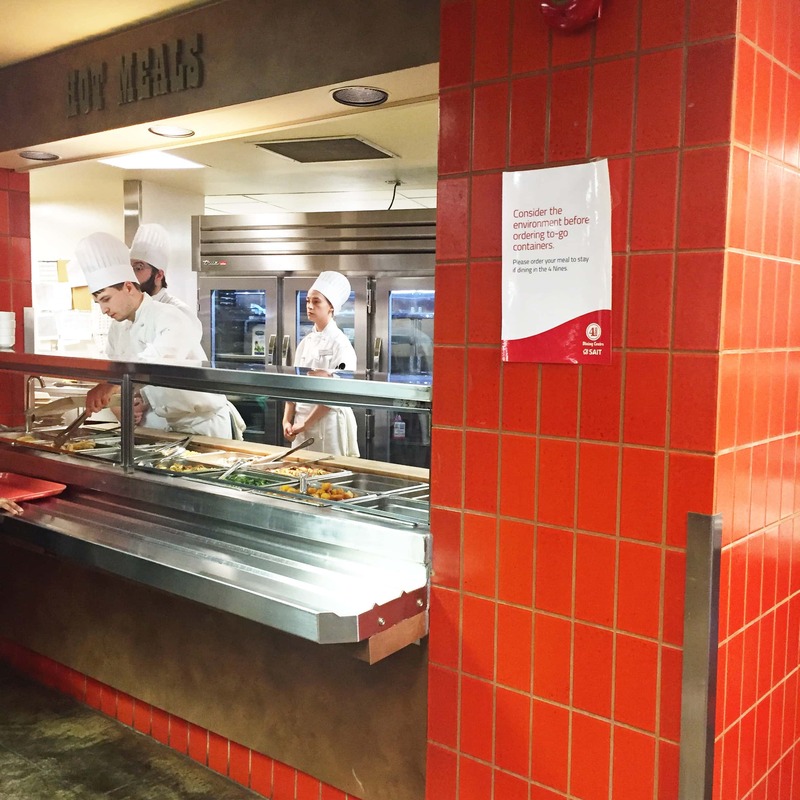 The 4 Nines Dining Centre offers a wide and delicious selection of hot and cold menu items including short order options, salads, soups, sandwiches and desserts prepared daily by SAIT’s culinary students. Budget friendly and quick, 4 Nines is a perfect spot to go for breakfast or lunch! The Highwood restaurant is a hidden gem in Calgary! This award winning restaurant offers a delicious buffet, an a la carte lunch of daily features or a five-course dinner. 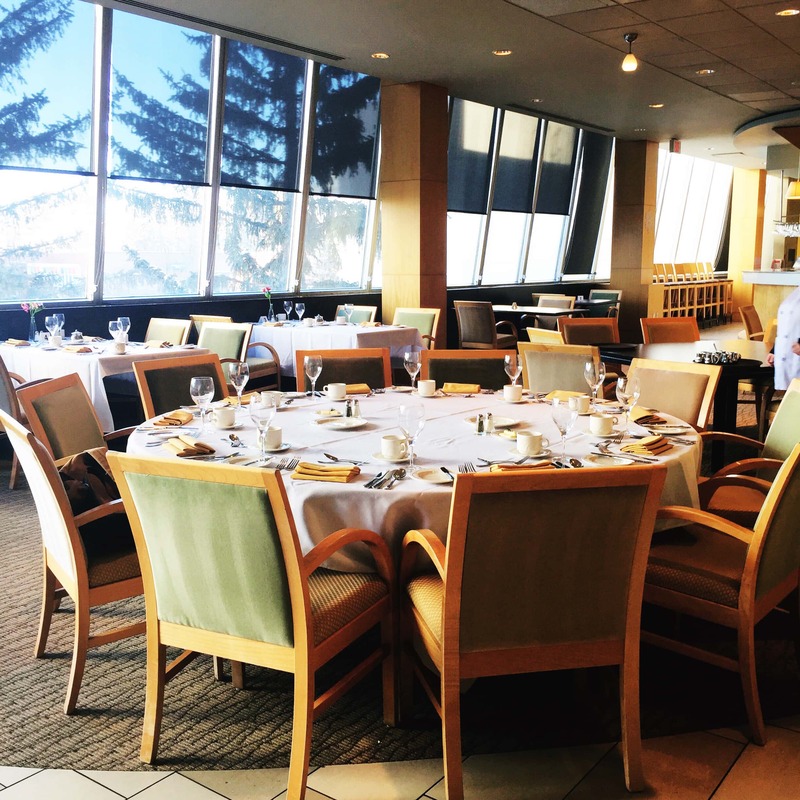 Everything in this restaurant, from the wait staff to the chefs, is run by SAIT’s Professional Cooking, Hospitality Management and Baking and Pastry Arts students. Reservations are not required for The Highwood, they are recommended. I really enjoyed my dining experience at The Highwood restaurant. I would love to go back with my husband! Market Place is open Monday to Thursday, 11AM to 5:30PM, Friday 11AM to 4PM. The Butchery is open only on Thursdays from 11AM to 1PM. The Highwood is open Monday to Friday with seatings at 11:30AM or 12PM for lunch. Thursdays offer a lunch buffet with seatings at 11AM, 11:30AM or 12PM. Dinner is available Monday to Thursday with seatings at 6PM, 6:30PM and 7PM. Reservations are not required for The Highwood, they are recommended. Thank you so much to SAIT for the delicious and eye-opening behind the scenes tour! I really enjoyed it! The dessert table is amazing! Wow, love the cakes and pies. The entire space looks like a place my family I would enjoy attending when eating out. Good day Jo-Anna, I was also at Sait and I really liked their cuisine they have very tasty meat snacks.